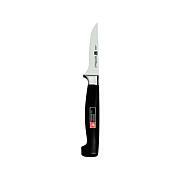 Get back to basics with this precision blade. 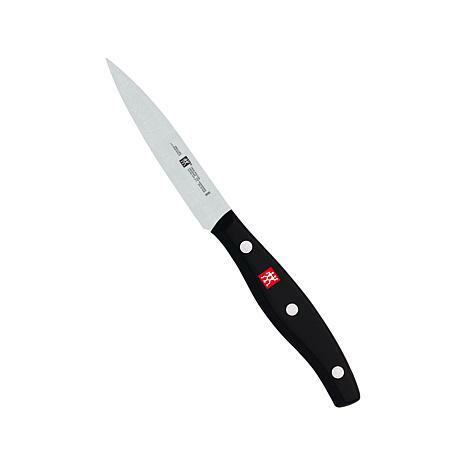 Designed for intricate tasks such as slicing and peeling fruit, this blade will live a long, useful life in your kitchen. I love this knife! I received it quickly and it is very very sharp. I hope it doesn't get dull with time or at-least not very fast. 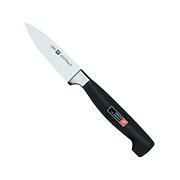 I get a lot of use out of it as I lost my other favorite sharp knife. Had to replace an old old knife that my grandma handed down to me through 4 generations. I still have it, but I'm afraid it will break soon, so I was on the hunt for a replacement, so I could preserve my keepsake. This knife is amazing... very very very very sharp.... believe me... I have injured myself trying to acclamate myself to it, but after years of using my older knife, it takes time to get used to. This knife is great. Peels potatoes, apples, cucumbers, etc.... gets through tough vegetable and fruit skins. A definite keeper! 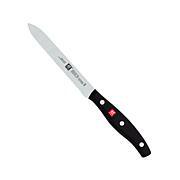 Thanks for offering a great German utensil, HSN! This knife was bought as a replacement for my Cutco knife I had for many years. I didn't think I would find a knife I would like as well but I love it!